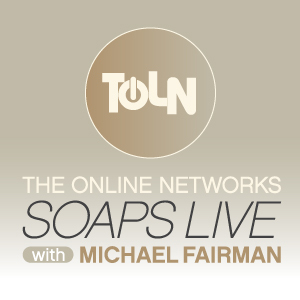 TOLN SOAPS Live with Michael Fairman Premieres June 20th! First Guest Prospect Park's CEO Jeff Kwatinetz! TOLN (The OnLine Network) announced today the launch of a new live interactive audio broadcast, TOLN SOAPS Live with Michael Fairman, which will debut Thursday, June 20th via BlogTalkRadio, the world’s largest social broadcasting platform. The weekly hour-long show will originate every Thursday at 10pm EST/7pm PST, and feature prominent guests involved with One Life to Live and All My Children, the fan-favorite serial dramas that were recently revived by Prospect Park via TOLN, and will be hosted by veteran soap journalist Michael Fairman, who will bring his brand of engaging chat, entertaining and lively interviews, humor, and soap knowledge to each broadcast. Listeners can tune in at: http://www.blogtalkradio.com/tolnsoaps. Each live episode is also available as a downloadable podcast, via blogtalkradio.com and iTunes. TOLN SOAPS Live with Michael Fairman will give fans a unique opportunity to get up close and personal with the stars and creatives behind All My Children and One Life to Live, with exclusive interviews from the world of TOLN Soaps and will provide the opportunity for fans to call in and ask their burning questions, share their point of view and chat on a weekly basis with special guests about latest hot topics, controversy, and storylines out of Llanview and Pine Valley. 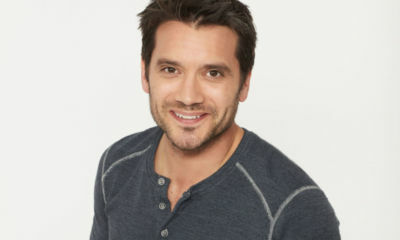 The inaugural guest on the June 20th edition of TOLN SOAPS Live with Michael Fairman will be Prospect Park’s CEO Jeff Kwatinetz, giving fans a unique opportunity to have their questions answered directly by Kwatinetz, the man responsible for reviving these iconic series. 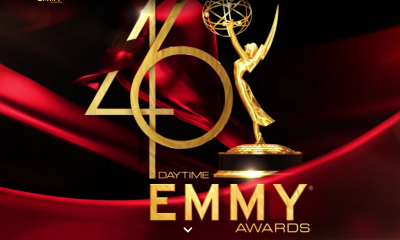 In addition to exclusive interviews, special guests and interaction with fans, the weekly broadcast, which airs the same day as the TOLN Soaps final episode of the week, host Michael Fairman will identify and playback the standout moments and performances of the week from All My Children and One Life to Live, plus other special audio content throughout the show. The Online Network’s popular anytime dramas, All My Children and One Life To Live, post brand new 30 minute episodes (in HD where available) two times a week for free via The Online Network at TOLN.com, the free Hulu.com service and to subscribers of Hulu Plus, making these venerable dramas available in a new format that suits the viewing habits of the digital generation. The iTunes Store offers both series via iPhone, iPad, iPod touch, Apple TV and Mac or PC. In addition, the original, behind- the-scenes series, “MORE All My Children” and “MORE One Life To Live,” posts on Fridays. In Canada, viewers can now access both shows via iTunes Canada. Will you be listening to Michael Fairman’s new Blog Talk Radio show each week featuring guests and features and call-ins about all things All My Children and One Life to Live? Let us know! We hope to hear from you next week on June 20th! Susan Lucci Dishes On Devious Maids and The Status of an All My Children Return! That sounds Super! I sure will be tuning in. Please remind us as it gets closer so we don’t forget. Looking forward to this new venture, Michael, and thrilled to be able to hear from the dreamy Jeff Kwantinetz. I sure will be listening, this us very exciting. Congrats! Sounds like an awesome show. It’s on a bit late for me (I’m EST), but I’ll do my best to catch the shows live. Can’t wait! 1st question. 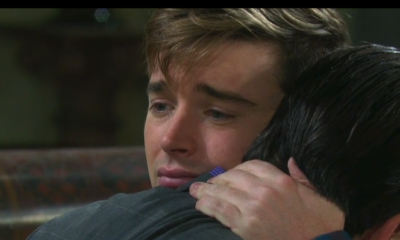 Why does OLTL get treated like a unwanted step child. I keep seeing all these posts about AMC but not OLTL. THIS post is about both shows and mentioned both shows repeatedly. Am I talking about this post and did I ask for anyone else’s opinion. I’m talking in general and if you haven’t noticed your not very observant. Gee…when you post this question on this post – yes, most people would assume you are talking about this post. And when you ask a question – yes, most people would assume you are asking for an opinion. If you weren’t talking about this post and weren’t actually wanting a response to your question – WHY are you here and WHY did you post it? Congratulations Michael!!! Can’t wait… you will be fabulous!!! This is well deserved and one of PP’s better decisions!!! Love it!!! Sounds good. Get Carolyn Hennesy back if you can, but doing it solo is okay. As much as I loved the old podcast, new episodes went from once a month to once a year. Jeff Kwatinetz sure has brass ones to subject himself to the wrath of the fans. I hope everyone is polite. Good for him! Taking the bull by the horns and talking to us directly. IMO, it shows just how much he is invested in making this thing work. I am very much looking forward to tuning in. I will try to call in as well. Mr. Kwatinetz, you truly are my hero. You have done what most of us thought was impossible. You have brought back Agnes Nixon’s shows and are a guardian of her legacy. I know with all the recent developments you must be fielding more negative comments than you would like. I get worried too, we are all a little gun shy but I felt the need to tell you how grateful I am. Thank you from the bottom of my heart. Congrats! Keep our shows alive! Hey, Michael. This is more than great! Will be watching and listening and calling in. .Best of luck….. This sounds great. Can’t wait to hear it. a big congrats to you michael!! YES! I can hardly wait for this to air. People, keep watching both shows. It would be great if we could watch enough to suggest that maybe hour-length shows are warranted to make up for the 2-days of each show instead of 5 days each show. I think 2-days each show 1-hour shows would work. Anyone have any thoughts on this? Your suggestion unfortunately, would put them right back where they were originally. I believe (and maybe someone can ask Jeff) that if we keep watching both shows (which I do!) eventually they will be increased either in length or episodes shown each week. I will be anxiously awaiting to see what is in store for our shows. After watching since they 1st came on they have become my family. I am enjoying meeting the new members of the family & how they have grown up. Thank you so much for being my family back home again. Yes remember to spread the word that we need our views back all of them & new ones too. Numbers need to continuously stay up in the 500,000’s. This is the number that shows the advertiser’s we are serious about our shows & if you can start purchasing products from these sponsors & let them know why you are taking the time to purchase their product. They are paying for our shows to be on. If everyone can get 1 person back or a new one to watch we will be in a position to ask for things. We as fans said that we would pay for our shows to be back then why are we complaining because of the prices. They have given us our shows back & they have given us 3 avenues of watching them. Right now they just can’t get any easier. Join all of us that currently watch everyday & if you want you can watch over & over on the weekends. Of course I will. Love my shows, and Michael too! Good for you! I am happy for you and know you will enjoy the show.